This practical continuing education course deconstructs common myths about the use of massage in cancer treatment. 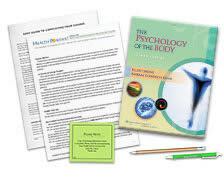 Focusing on the use of touch techniques to provide comfort and ameliorate the side effects of conventional cancer treatment, the course text also provides the most recent research, the use of bodywork techniques to strengthen the body during and after treatment and the importance of gathering detailed information about a client's medical history. Charts for the adjustment of massage techniques according to the treatment a patient is undergoing and appendices summarizing research on oncology patients and massage are also included. Touch is vital to cancer patients' health and well-being and massage is a proven way to receive the benefits of touch. 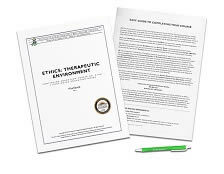 This CE program clearly informs therapists how to adjust their massage techniques in order to give massage sessions in a safe, effective manner for those with cancer as they receive treatment and during their recovery process. The textbook, Medicine Hands was incredibly engaging. It renewed my pride and passion for my profession. I am greatful for the opportunity to engage in this material. Thank you! This course, in particular, is important information for all massage therapists to know. The techniques and contents in the text book work for many chronic health conditions other than cancer. Bravo to author, Gayle MacDonald for compiling the research and shearing them in this updated edition. I am a very happy student. This course reading material was highly detailed and medically focused. I am an RN and understood most of the material, however a typical CMT may not absorb or understand all of what is in this course. It was a high level understanding of anatomy and physiology in regards to the oncology patient. I do feel it gives detailed research information to back up the need and demand for oncology and advanced illness massage. I will use the course material for reference. Wow! This course and the Institute went way beyond my expectations. Two other co-workers also took this course because I encouraged them to. One is now certified because of it! Thank you! Thank you for this class. Much of the information learned 15 years ago in massage school is not valid. I appreciate the updated information and the evidence that supports the information. 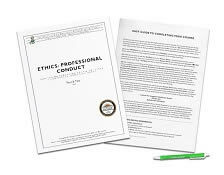 Evidence based material lends more credibility to the information and allows me to be confident that this information will not allow me to cause harm to my clients. I had been asking for this very class for years and it was exactly what I was looking for. Thank you. Very interesting! I was taught to not massage cancer patients so this was very inspiring, Book was very informative and detailed. Some of the questions were challenging although finding the answer was well worth it for the learning experience. Glad I purchased this because the cancer info was so informative. It was very insightful and opened my eyes in a new way of all the body goes through during cancer. I knew it was tough and a nasty disease but this course showed just how extensive and different each person and treatment is and how taxing it is on everyone involved. Also it made me aware of how one can help. I am a therapist that enjoys doing deep tissue and rehab work so it shows me a whole new side of light touch and how it can be equally effective. This is one of the best courses I have taken in 15 years as a LMT. MEDICINE HANDS is informative, provocative yet immensely practical, and extremely well written. I loved the stories woven into the information. I am sure I will go back to it again and again as a treasured reference. The course was fab. Having a person in my family that has cancer, this program really helped me a lot. I now KNOW what I can and cannot do, and it makes me feel much more at ease with working on them. Also, this is an important course for ALL MT's to take. Truly, one of the best courses I've ever taken. I've put up a sign at work with this institutes name and the info on the class where I work, so others can take it too. 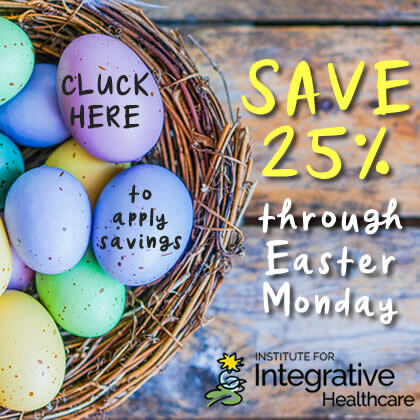 I found this course to be extremely helpful and timely as I am serving more and more clients at varying stages of cancer treatment in my practice. It's nice to know I can add something positive and helpful to their lives. This was one of the best courses I've ever taken. I have been licensed 8 years and have always avoided cancer because of what I was taught in massage school. I certainly feel enlightened! The explanation of the way that cancer spreads was well written and done so in a way that was understandable yet concise enough to cover all the information described in your course content. I have more respect and empathy for both caregivers and patients than I did before. Very reflective study experience. Thank you! Very interesting read. I definitely plan to reread to retain additional information. This is a field that I feel many therapists are afraid of, but is the basis of what we should be doing in our normal massage therapy practice. One of the best CE courses I have taken in years. Reminds me how important touch therapy is to those who suffer and how much I appreciate being a therapist. Because massage is a hands-on modality, sometimes online study is difficult. The informative nature of the material in this course makes it a very good choice for this format. Excellent educational content. As a nurse/massage therapist the course provided answers to extremely important therapies that I encounter often. I did something I have never done before. After reading the intro to "Medicine Hands" 3rd Edition, I put away the CEU workbook and the pencils and the coffee. I decided to just read this book and get back to all that later. I am an LMT and an RN and spent years practicing massage through Hospice. Some of this Material I knew, some I did not. The course is thorough, research based and technical. It is also hear based- Loving and compassionate. I highly recommend this course. It will advance any LMT's knowledge base and insight. And the book will become an invaluable reference. Difficult subject both technically and emotionally. Those involved in this practice need to take the time to engage deeply in this topic. The author certainly did. The book was well written and easy to understand, though technical. It impressed upon me the need for education for massage therapists as well as cancer survivors to be aware of how potentially damaging deeper work can be and how profound lighter body work can be. It was also amazing how much info has changed in 20 years on the lymphatic system alone. Very interesting. I was surprised the test results showed I answered question 70. incorrectly, as I had A. on my written sheet. Oh well, mistakes happen. I deliberated on question 33., as I would have put A., but for the part of after every session. The book on page 124 says it should be done after the first 3 or 4 sessions and thereafter check in after major changes. Excellent and thoughtful text. A cancer survivor myself, I really appreciate the gentle and conservative approach to the subject matter. This course is incredibly well written and includes patient stories which added an extra special touch. I highly recommend this course. Im 4 months out of chemo for ovarian cancer and being a patient or a loved one dealing with cancer this book could be very beneficial. Loved this material! Learned so much and now have the knowledge and understanding. Thank you. I really loved this course. I learned so much. This course was incredibly thorough and informative. I will be using this book as a reference material in my practice. The reading materials were interesting and easy to follow. Also, the reading made you understand. Ok course. Having been through cancer with multiple people I thought it gives a good background, especially for newbies! The course was very well presented and interesting. I do not plan to do oncology massage but now I feel that I am better informed on the subject and better equipped to help any cancer patient that might come into our office. Well written textbook with this course! I found this course extremely interesting and practical. I believe every massage therapist should take it ! This course was fascinating. Massage is truly beneficial for cancer patients. The information in the course is very appropriate to my clinical practice. I like the accessibility of the course. Thank you very much for providing a much needed for those of us unable to go out for training and development. This course was very straight forward and the staff were very helpful! I can’t wait to do another course from the Institute. This was an amazing course, and challenged me in many ways. Thank you so much and would love more like it, pertaining to cancer, autism, abuse, and hospice care. Thank you! Love this course! Great and useful information. Sadly I know so many afflicted this will really help me move through the process with them, with expanded knowledge and tools to assist patients and their family through a challenging time. Great information and well presented and comprehensive plus many references for additional study. As a massage therapist who has practiced over 20 years, this course was long overdue. I feel so prepared and knowledgeable. Amazingly written, thorough, and well researched. I am so grateful, “Medicine hands”! Very good book! I recommend this course to everyone! This is a very important topic and the information was put forward in a clear and readable manner. Thank you for the opportunity to take this course online. I Loved this course, made me feel much more confident about working with cancer patients and utilizing not only my Reiki, but also my life experiences with friends & family dealing with cancer. The information was well written and really encouraged me to seek out further education on this subject. I learned a tremendous amount. I agree that this should be taught in every massage school. Excellent course. Excellent info. I work as an Integrated Therapist at Valley View Hospital in Glenwood Springs Colorado. We have a multi-million dollar cancer center opening up end of summer and this course gives me knowledge to be more comfortable and more effective with the patients I'll be working with. I really loved this course and look foward to future course to take. It was very insightful and easy to understand. I really enjoyed this course. The section about meds with cancer patients was very helpful to me. I have been looking for information in this area and now I have it at my fingertips Thank you very much. Wonderful Material! Very thorough test and learning experience! This course was exceptional.I am much better prepared to address the needs of my Guests with cancer. Love this book Ms. Gayle MacDonald is a great writer and was easy to understand from a LMT.!!! I thought the couse was excellent. I particularly liked the personal stories of therapists' experiences. Excellent Course. Covered all the aspects to better understand cancer and the patients it affects, and how we as massage therapists can be an equal partner with them. I work in a hospital administering massage, I work a lot with cancer patients and I am excited to integrate what Ii have learned through this and some of it i already knew but it reconfirmed that i was taking proper precautions. This was a wonderful course and I am thankful to have taken it! Excellent course. Surpassed my expectations for a home-based course. I especially loved the text which, although was filled with technical information and statistics, was also very heart-centered. Improved my instincts and knowledge in working with cancer clients. I am very pleased and impressed with the text book for this course - it has a lot of valuable information. Thank you! I loved it...I'm going to expand my business in this area. Great book and it covers lots of information that is needed for all massage therapist who plan on being in the business for a long time. The course was thought provoking and brought up feelings of sadness from personal experience of my own close family members. Very in depth and emotionally, spiritually up lifting. Thank you! This course was VERY informative! It kept my interest and actually made me think about working with children that have cancer on a more serious level! Just started working in an Oncology ward at a hospital, very helpful. Enjoyed reading this. I would like to learn more in the future, Thank you! This course was very insightful. I enjoyed it very much. Wonderful and extremely useful material! I learned a lot and was challenged by the test which doesn't always happen on homestudy courses. I will really use this information provided. I loved this course & content! It was very informative, well presented, and well rounded. 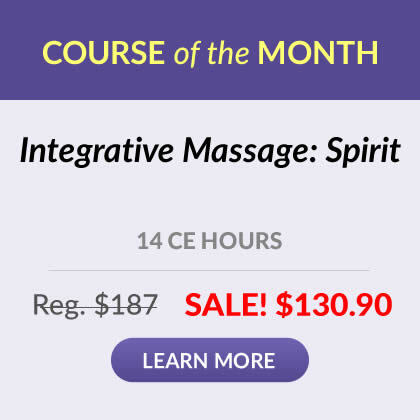 I would recommend this course to anyone interested in pursuing this amazing field of massage! Thank you! This course addressed many of my "fears" of massaging cancer patients. Thank you for the excellent material and the convenience of providing home study courses. The written material far exceeded my expections--very useful, thanks! The course was excellent. I greatly enjoyed it. I would like to see more classes offered in the subject of cancer and massage and the modalities to further enhance my knowledge. I really enjoyed this book. Great choice. This was a wonderful course and I am looking forward to taking my next class through the Institute as they have many courses I am looking forward to take as I feel they will keep me engaged in what I love doing, MASSAGE and helping others to feel better in their day to day lives doing what they love doing! This is an excellent course and resource reference for the Oncology Massage Therapist. I learned a great deal regarding all aspects of cancer, including massage, from the patient to the caregiver! Your course exceeded my expectations - the material (book) was well written, thorough, full of helpful information and anecdotes, up-to-date and encouraging. Good detailed course. I learned a lot and thought the study guide was very well in order with the book. The material wa very well written, especially the quotos on the sides of the pages. - Kim Leher - RN CMT, State of PA. I thought the text book was magnificent and full of insightful & interesting stories, examples, and ideas. Everything has been great! I really enjoyed this course and feel like I have learned so much about myself and how/where I want my practice to go forward. Thank you! My Mother was recently diagnosed with breast cancer and doing well. This course was extremely helpful to our entire family. I learned a lot from this course. Very informative. EXCELLENT study course, very in depth, very concise. I highly recommend this course for a really good and informing home study. I have been a LMT for 13 years and I leaned a lot of helpful things. Outstanding material for massage therapists who work with cancer patients.